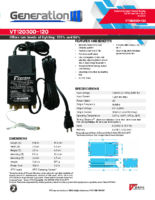 Input Current 1.25A rms max. 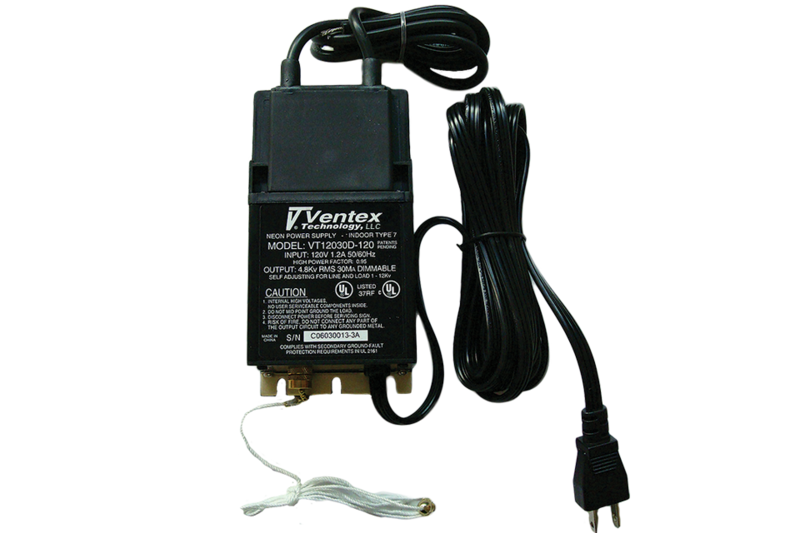 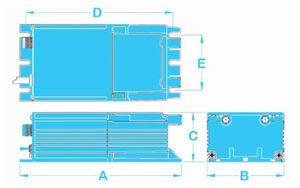 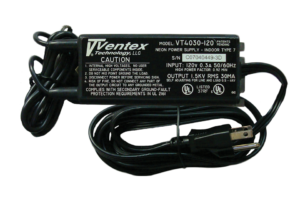 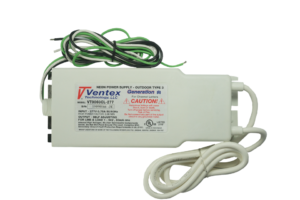 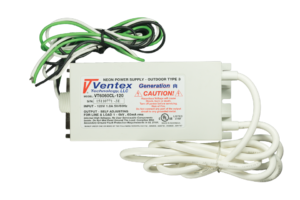 *Product photo shows item with optional Ventex GTO Lead Kit: Part Number 85340 GTO-10 Kit (8 ft). 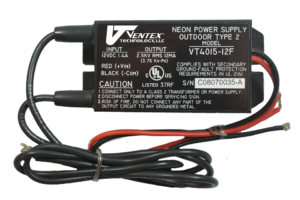 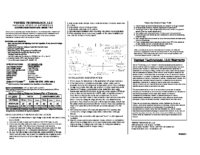 **See Ventex Luminous Tube Footage Chart for more information.